Hailed for his ringing top notes and powerful stage presence, Canadian tenor Richard Margison is one of the most critically acclaimed singers on the international stage today. He performs regularly in many of the world’s leading opera houses including the Metropolitan Opera, La Scala, the Canadian Opera Company, the Royal Opera House, Covent Garden, the San Francisco Opera, the Théâtre Royale de la Monnaie in Brussels, the Sydney Opera and the Grand Teatro del Liceu in Barcelona. 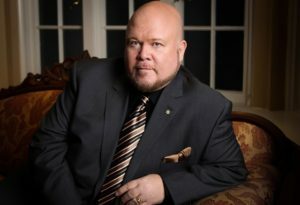 In the 2011/12 season, Margison sang Canio in the Edmonton Opera production of PAGLIACCI, Mahler’s Das Lied von der Erde with the Victoria Symphony, Cavaradossi TOSCA with Opera Lyra Ottawa and Mahler’s Symphony No. 8 with the Toronto Symphony. In 2010-2011, Richard celebrated his Canadian roots with performances across the country featuring his signature roles Calaf TURANDOT with Opera Lyra Ottawa, Manrico IL TROVATORE l’Opéra de Québec, Cavaradossi TOSCA with Manitoba Opera’s, and Bacchus ARIADNE AUF NAXOS with the Canadian Opera Company. The spring saw Richard return to his home province of British Columbia for a recital tour with acclaimed pianist Kinza Tyrrell. In addition he reprised his celebrated role as O’Brien in Lorin Maazel’s 1984 in Valencia, Spain. Previous seasons include Richard’s debut as Aegisthus in Strauss’s ELEKTRA with the Seattle Opera and the New York Philharmonic, his debut at Milan’s famed La Scala as O’Brien in Lorin Maazel’s 1984, a role he originated at the ROH Covent Garden in 2005, recently released on DVD. Renowned for his interpretations of Verdi, Puccini, Strauss and Beethoven, recent seasons have featured performances of UN BALLO IN MASCHERA(l’Opéra de Montréal, Hamburg, the ROH Covent Garden), TURANDOT (New York, Barcelona, Toronto), AIDA (New York, Cincinnati, l’Opéra de Montréal, Chicago, Orviedo), ARIADNE AUF NAXOS (Madrid, London, Hamburg, New York), FIDELIO (Seattle, Vancouver), IL TROVATORE (New York, Toronto, Berlin, San Francisco), LA GIOCONDA (Barcelona) and DON CARLO (New York). A much sought after concert artist, Mr. Margison took Toronto by storm in a concert at Roy Thomson Hall garnering such praise as “…it is an important experience to hear Margison live, simply to come into contact with the physical presence of the voice. It has both brass and beauty, and its power is so forceful and concentrated that you have to remind yourself that its source is a human throat…” (Globe and Mail). As well, he has appeared with the Royal Philharmonic in London, the Philadelphia Orchestra, the San Francisco Symphony, the Montreal, Vancouver and Toronto Symphony Orchestras, the National Arts Centre Orchestra in Ottawa and at the Ravinia Festival. He has also performed with Bryn Terfel at his opera gala at the Faenol Festival in Wales. Mr. Margison’s most recent releases include an all-Verdi recording on CBC Records and the highly acclaimed recording of Beethoven’s FIDELIO with Christine Brewer on Chandos. He has also recorded LANZA (Warner Music), a recording made for the film on the life of Mario Lanza, in which he sings the title role. Other recordings include Verdi’s DON CARLO with the Royal Opera House Orchestra and Chorus under the direction of Bernard Haitink (Philips) and Tchaikovsky’s MAZEPPA with the Gothenburg Symphony Orchestra, conducted by Neeme Järvi (Deutsche Grammophon). He has made three recordings with the late Richard Bradshaw and the Canadian Opera Company Orchestra: a solo album of French and Italian Arias (CBC Records), Rarities by Rossini and Verdi, with Gary Relyea (CBC Records) and Aria, une sélection de Radio-Canada with Anita Krause, Wendy Nielson and Gary Relyea (CBC Records). Richard Margison is also a featured artist on the Millennium Opera Gala recording released by CBC Records. His DVDs include the upcoming release of his highly acclaimed appearances as Bacchus in the Metropolitan Opera production of ARIADNE AUF NAXOS with Deborah Voigt and Natalie Dessay (Virgin Classics), his roles as Cavaradossi in Tosca and as O’Brien in Lorin Maazel’s 1984 (both on Decca), and as Enzo in Ponchielli’s LA GIOCONDA (TDK). Richard Margison was named an Officer of the Order of Canada in 2001 not only in honour of his contribution to musical life in Canada but in recognition of his presence on the international stage. In October 2009 he received Lifetime Achievement Awards from both the The Giulio Gari Foundation and The Licia Albanese-Puccini Foundation. He also holds Honorary Doctorates from the University of Victoria (DMus), University of British Columbia (D.Litt) and McMaster University (D.Litt).